Annoyed By The Cockroaches? 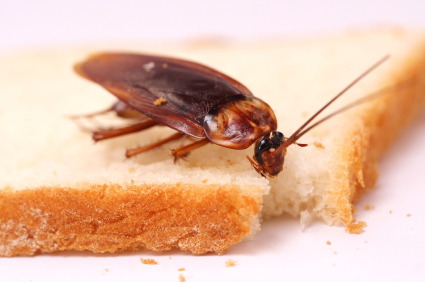 If you have cockroaches in your home, the first thing you should do is hire a professional who can inspect the areas and offer the best solution at an affordable price. The fact which you should always remember is that they are not active in your home in the day time, so you should look for them in the night. Check the kitchen cupboards where you can find their faeces. Furthermore, you should also keep an eye for the eggs in the cupboard. When it comes to the cockroaches, they usually lay eggs in different locations. The food gets spoiled if they lay eggs in the kitchen. If you want to confirm that there are cockroaches in your home or kitchen space, then first get some bailed cockroach traps from the store. The reason why you should do it is because they are attracted to glue, they can work extremely well- and it easily stuck to its food effectively. In an ideal world, to get rid of the cockroaches, all what you need to do is look for professionals who can help you get rid of the cockroaches. Always make sure to wipe the sink and surfaces properly, and don’t leave the taps running. If you have learned about their routes and to the rooms where you can find them then you should block them. Cockroaches won’t really disappear if you follow these instructions. Sometimes it becomes very important to make use of the products or professionals who can help you get rid of the cockroaches. Some of the products also have chemicals, and it is advisable to not make use of such products especially if you have children in your home. Keep all these tips in mind to control the cockroaches.